They call them "pretty parties," and they're the latest rage among Dallas debutantes—get-togethers with light refreshments, heavy gossip, and Dr. Sonja Madhavi and her magic Botox needles. 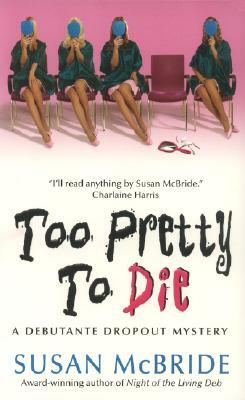 Former socialite Andy Kendricks normally wouldn't be caught dead at such an event, but she's attending as a favor to her friend Janet, a society reporter in search of a juicy story. And boy does she find one when aging beauty queen Miranda DuBois bursts into the room—drunk, disorderly, and packing a pistol. Miranda's wrinkles have seen better days, and she blames it all on Dr. Madhavi. Luckily, Andy calms her down and gets her home to bed . . . where she's found dead the next morning. The police suspect suicide, but Andy knows that no former pageant girl would give up that easily. She's determined to find Miranda's killer herself, but she'll have to be careful. After all, Botox can make you look younger, but it can't bring you back from the grave.